Greetings denizens of The Fan! You might be thinking, “Wait, didn’t Maki just review an album this month?” And the answer would be YES, I did! But, in my ever present desire to find more and more new music, I’m making an exception!! possible by…well, I don’t know who or what makes this possible!! It’s happening, so enjoy! station. My love for the music has not waned in the time since those days. Ah, time passes so fast! It’s already been over a year since I put together my last full playlist! But enough about that! You want to hear about this latest group! 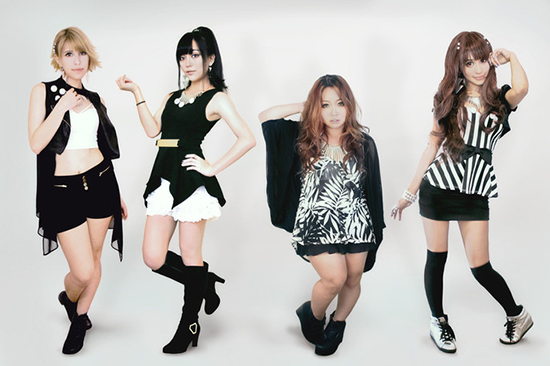 4TE (pronounced for-tay) is not what you would call a typical J-pop group. Sure, they consist of an all female lineup; Sure, they sing Jpop music; But it’s the way they have come together and work that is atypical. Technology plays a huge part of bringing their world closer together than their geographical locations would suggest! The four members are based in Southwestern USA, but have traveled long roads through the internet to become 4TE. The differences between the of the ladies of 4TE doesn’t at their geographical locations. All of them are pursuing a variety of schooling and interests to fine tune their talents. Chii is a Mexican-American audio engineering and vocal performance student. She’s grown up with a variety of artistic talents including illustration and music composition. Even with these talents, her aspiration was to be a singer. In 2010, Chii created a public YouTube channel that allowed her to pursue this desire. She was able to develop a network of like-minded people who shared her passion for music, establishing a group called Remote Girl and, later, 4TE. 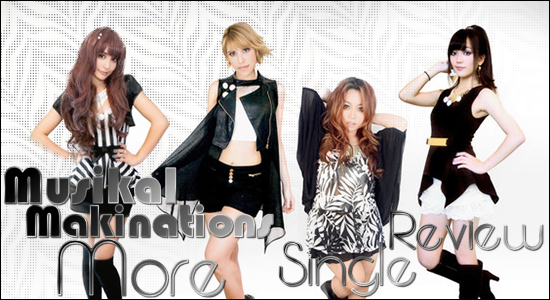 In 2013, Remote Girl won the Best Singer Search Video Award that is held annually on NHK World’s J-MELO program. Jenny, is a Colombian-American singer and songwriter whose influences include Utada, L’arc~en~Ciel, and The Pillows (Quite a wide range of influences!). Singing since she was 4 years old, Jenny’s start in music came at 12 when she learned to play the electric bass. (Ah a fellow bassist! A woman after my heart! I promise not to be biased!) Her growth would continue as she studied visual arts and graphic design while studying music. 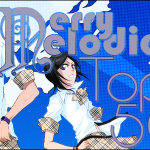 In 2009, Jenny created a YouTube channel on which she covered all sorts of Japanese music (from anime to Vocaloid). And, like Chii, she was able to develop a network of people who shared her passion. In 2012, Jenny realized her dream of becoming a singer and pursued this goal with a passion. Though a self-taught musician, she was open-minded enough to take lessons in singing, piano, and violin, as well as sound engineering and entertainment technology. One can never know everything about everything, right? This education along with countless projects and bands she would participate in (including a stint with an indie band called ROMP) would pave the way for Jenny to become part of 4TE. Mei, is Chinese-Indonesian-American actress, singer, and songwriter who began performing at the age of 7. 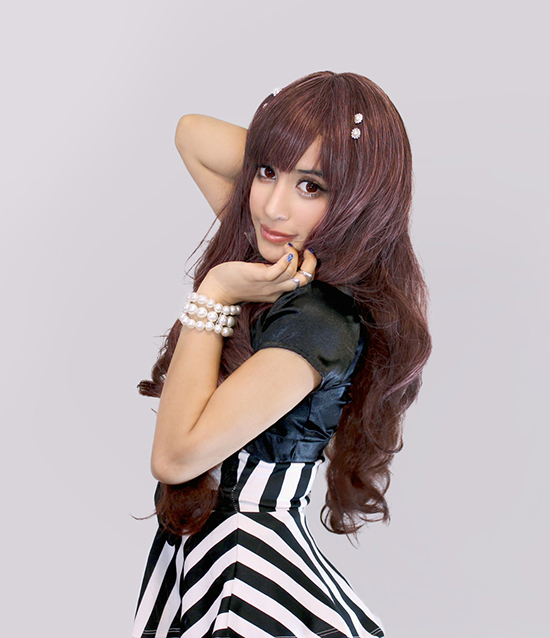 After finishing high school, Mei attended Azusa Pacific University to further her education in music. She graduated with a Bachelor of Music in Vocal Performance (I didn’t realize there were undergraduate degrees for this specific of a field!). For a short time after college, Mei was the lead singer of a group called Psycho Bando. 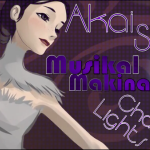 In 2009, Mei created a YouTube channel to allow her to showcase her covers as well as original music pieces. One of those original creations was featured on NHK World’s J-MELO program. years, she was trained in a variety of styles ranging from tap to flamenco. Her training in contemporary ballet was focused on Russian ballet. Though she has since stopped taking lessons, she is still a dedicated dancer. Anime was a gateway for Micchi to learn more about Japanese culture as series began to make their ways into the US. By age 12, she began learning more about the culture and the pop music scene in Japan and took special interest in the catchy tunes and dances. In 2007, filled with talent and an eagerness to perform, Micchi created a YouTube channel to share her talents. This started with Japanese-based song covers and dances and grew into collaborations on various online projects as she connected to new friends. This exposure generated invitations to perform at various anime conventions in Texas (Anime Matsuri, Omnicon and Shimacon) as part of a dancing duo called Aquakia. Some of Micchi’s musical influences include Hello!Project, YUI and FLOW. fellow 4TE members and seek successes in the J-pop market. Mei hopes, in addition to being a successful singer/songwriter, to voice a Disney princess one day. 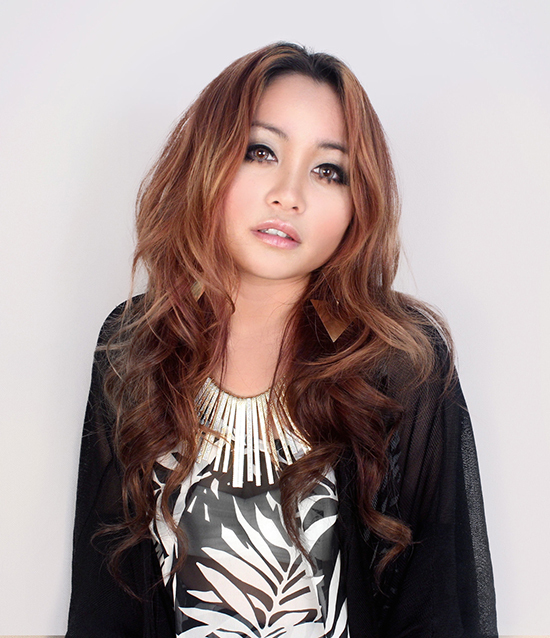 Micchi hopes to meet more people with the same passion for music and share her love of performing with the world. I think that’s enough information about the group and their background! Let’s get to the review of their debut single, MORE. I’ll start out by saying that only with the benefit of the video do I know who is singing at particular times. This is tough to do with almost any singing group review. But it was nice to be able to give credit where credit it due in this song! 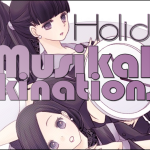 MORE starts out with soft English vocals by Mei accompanied by a soft piano in the background. Mei’s voice is extremely soothing. Nothing complicated. It’s just the feeling I got listening to her voice, which could be clearly heard and appreciated. 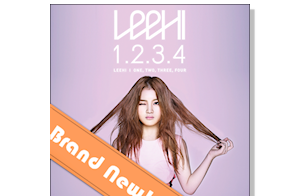 The song quickly moves into a more lively mode with typical synthesized music intro we would find in a dance track. It’s a decent pace; not too fast, not too slow. Typical club music. One thing I found interesting about this part of the video is the absence of Mei from the dance clips that included the other three members. Not sure why this was done, but this isn’t a review of the video, so I’ll leave it at that. After the intro, we hear Jenny’s Japanese vocals. She did a good job for the most part; however, there were points where it seemed like she was “speaking” and not “singing” the Japanese lyrics well. It wasn’t often, but enough to be noticed. Her voice was a bit forced at times, especially when she sang into higher notes. There were times where I felt she was singing in two different ways. Not too bad though. Next up was Micchi’s vocals, which were brilliant. Her Japanese singing was smooth and fluid. Her voice was rich and enjoyable to listen to. She did a good job in keeping her voice in check, even when she sang into higher notes. The chorus portion of the song features all four members contributions, which were done pretty nicely. We finally get to hear Chii’s voice for a bit towards the middle of the chorus. She did a good job, but the mixing of the song subdued her voice a bit more than I would have liked. I’m not sure if it’s because her voice is naturally soft, or if the music was too loud. Either way, that portion could have been made a bit better by featuring Chii more fairly. The chorus continues until we reach Chii’s rap solo. Here, Chii’s voice sounds subdued compared to the music. But the mixing was done much better. It was a good solo, though she’s basically whisper-singing the lyrics. The way they mixed Chii’s “More, More, More” vocal into the next 15 seconds of the song is debatable. We get to hear Mei sing in Japanese during her solo next, similar to her opening solo. Again, very well done. Next we get to hear Chii featured on vocals. It’s here that once again, her voice is subdued compared to the backing music track. It doesn’t persist throughout her portion, but it is enough to make it difficult to hear her voice above the music more often than not. Next we get to hear Micchi’s wonderful voice singing English lyrics in a solo that builds nicely from a piano accompaniment to a full dance track transition. Really liked that part of the song. The song ends with all of the members singing the chorus off and on, but ends abruptly and rather unexpectedly. At over 4 minutes, I guess I can understand why, but I think it could have lasted a bit longer to allow us to enjoy the chorus a bit longer. Overall, because of the deficiencies in the song despite some really good vocals by Micchi and Mei, I give the title track a (6/10). 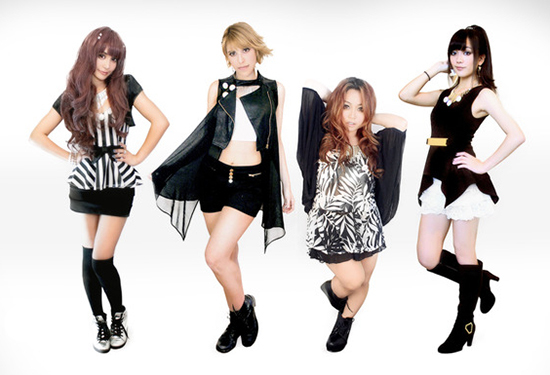 I tend to be cautious about Western groups that are influenced by or attempt to emulate J-pop. It’s usually just that… an emulation. With the Japanese J-pop market being flooded by local talents that often attempt to duplicate a “recipe of success” used by their predecessors and peers, it’s hard to find groups that offer anything truly original. I can’t say that 4TE offers anything new in that sense. However, after reading up on the members backgrounds, the ladies have determination and their dedication is undeniable. They have fundamentals to at least have a chance in their dream of crossing over to Japan; Looks, talent, and youth. The uniqueness of their circumstances make for a compelling story. How that will translate into future success remains to be seen. 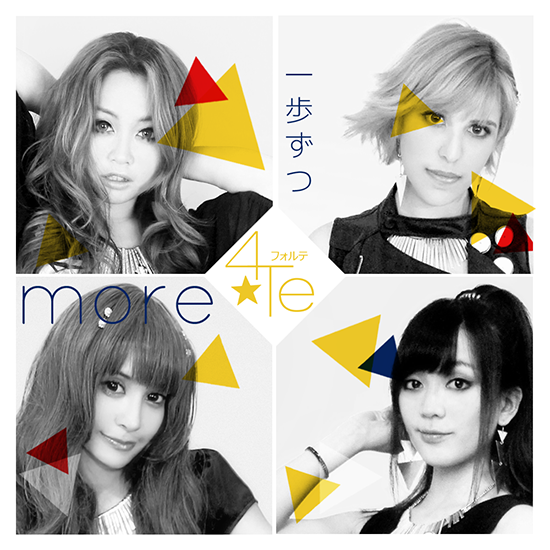 Overall, I give 4TE’s debut single, MORE, a 7/10. For me, the deficiencies of the title track, MORE, are made up for to some degree in Ippo Zutsu. That being said, I can’t quite be sure if it’s an effective use of Autotune that covers up the issues I heard in MORE. But I do know that 4TE is off to, MORE than, a good start (see what I did there? Hmm? HMM?) It’s always fun and refreshing to review newcomers into the scene, especially members who seem to have a clear direction for where they are going in their own lives as well as their group. 4TE has broken down the boundaries of geography using today’s technology to allow them to pursue a dream that may otherwise not be possible. I can’t imagine the difficulty in coordinating an effort like this from so many different locations. Here at 91.8 The Fan, we also use Skype to make the world a bit smaller for us. 4TE has been using this tool as well as other methods to build a musical group. I can only applaud their efforts and wish them the best of luck on their future work. From this debut, it’s clear they have the right ideas in place and the talents to pursue them. It’s just a question of fine-tuning their efforts and making the most of each of their experiences as they proceed forward in their own lives and as a group. Well, that’s all for this month. I assure you, that is ALL for this month! As always, thanks for taking the time to read it. Post your comments, suggestions, gripes, etc,. so I can fine tune my reviews! Stay tuned to 91.8 The Fan, where you get Everything You Want, and Nothing You Don’t!